see details Agriturismo Podere San Bartolomeo, Castagneto Carducci, Livorno, Toscana. Around Us...find what you could visit during your holiday! Baratti has Etruscan origins, and near there are some burial mounds to testify colonization of that civilization. 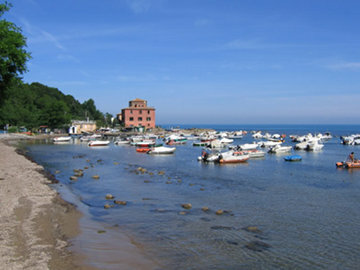 The small bay is in a valley at the turn of the Ligurian Sea and the Tyrrhenian Sea north of the peninsula which forms a large part of the town of Piombino.